Each year during March Madness, millions of college basketball fans get swept up in a fever pitch of statistical analysis, favorites, upsets, and, of course, bracket picks. But today, chatter about brackets busted is no longer limited to the office pool. In 2016, over 17 million Tweets were sent about Selection Sunday and the games, showing that fans are following the March Madness action on Twitter. As an official sponsor of NCAA, Wendy’s (‎@Wendys) wanted to own the conversation to reach fans and drive brand awareness in an innovative way. With round-the-clock excitement and fans tracking every make or miss in real time, Wendy’s created the ‎#WendysBracket on Twitter to immerse fans in the NCAA tournament experience and dive into conversations with a passionate audience. 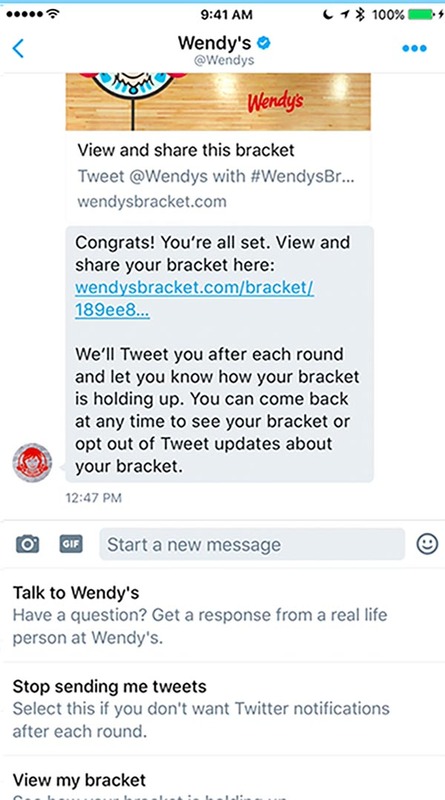 Building a bracket may be hard, but with Wendy’s chatbot, the experience became much easier. With support from IC Group, Wendy’s created a chatbot and used the Twitter Business Messaging platform to let fans build their brackets right in Direct Messages on Twitter. Fans were able to share their brackets with others on Twitter, driving even more engagement during the tournament. Wendy’s also launched a Promoted Tweets campaign that targeted basketball fans to join the fun and fill out their own brackets. We like our tweets the same way we like to make hamburgers: better than anyone expects from a fast food joint. Wendy’s used Twitter’s robust targeting options to find sports fans who would be interested in the ‎#WendysBracket. The campaign used Promoted Tweets that linked directly to the bracket builder in Direct Messages. 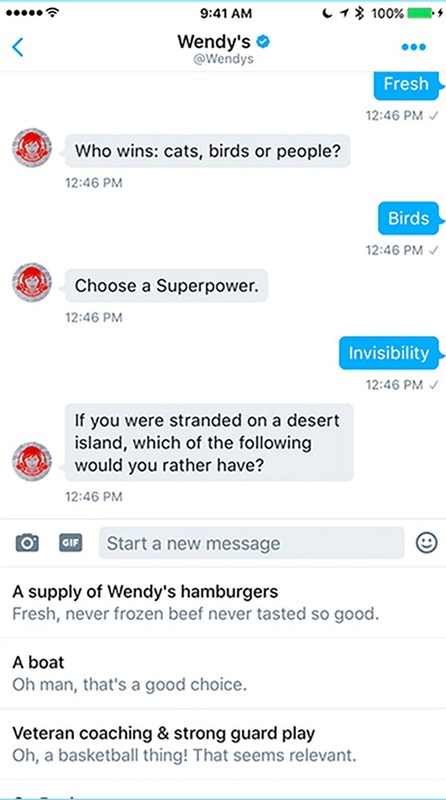 Wendy’s chatbot then used Direct Messages to greet fans and guide them through a series of fun questions that automatically generated brackets. Fans could also pick their game-by-game favorites, all through Direct Messages. 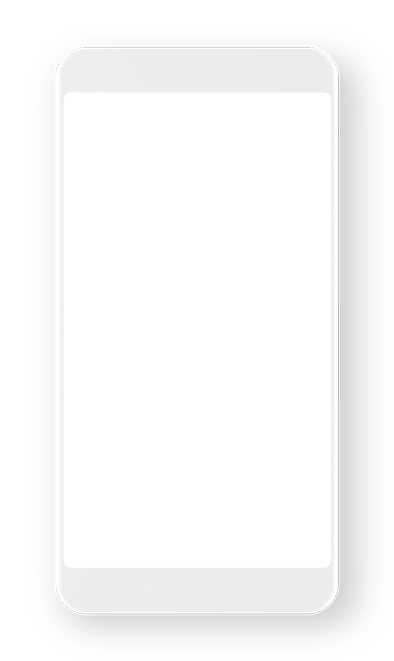 Fans who built brackets received scoring updates, prize giveaways, and redemption bracket opportunities throughout the tournament, helping them track their bracket’s progress. For those whose brackets got busted, Wendy’s offered the chance to create a redemption bracket to keep the interest and excitement going for everyone. For sports fans on Twitter, the ‎@Wendys chatbot was a clear favorite. The chatbot sent over 2 million messages during the two-week period. On average, people spent five minutes building a bracket and continued engaging with the ‎#WendysBracket content throughout the tournament, with 30% of fans returning to the experience multiple times. Fans who shared Tweets about their brackets helped create 8 million organic and earned impressions, in addition to paid impressions.